A funky bounce off a blocked shot found its way into the back of the Golden Knights net to give Edmonton a 1-0 lead. Vegas was able to get one back on a tip-in by William Karlsson, but couldn’t keep the score tied for long. The 1st period ended 2-1 Edmonton, but the Golden Knights 2nd period woes disappeared for a night as they scored three goals in the middle frame. Vegas did not let up eventually tallying five unanswered goals which sealed the game. Upcoming stories from the Vegas Golden Knights at Edmonton Oilers at Rogers Place. 1st line is completely dominanting. Edmonton have absolutely no answers for their forecheck. Playing without three of their top six and Nate Schmidt the Golden Knights looked a bit disjointed in their second visit to Rogers Place. They managed to take a 2-1 lead into the 3rd, but it all went downhill from there. With Nashville’s win earlier the game had little to no meaning to Vegas, and they played like it. Not their best game, but who really cares. How many goals does it take to win the Stanley Cup? Now that they lost, that game didn't matter. See ya Saturday for another one that doesn't matter. Both teams came out of the gates a bit bumpy, but it didn’t take too long for the Golden Knights to turn it on. Ryan Carpenter tallied his fourth goal in six games to give Vegas a one goal lead after one. Then a pair of goals from Jonathan Marchessault and William Karlsson put the Golden Knights up by three. 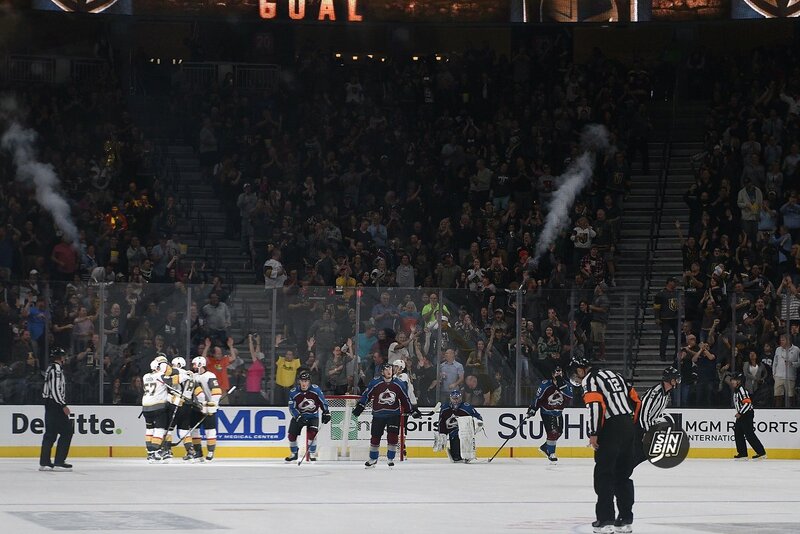 An early power play goal by Erik Haula, his 14th of 3rd period goal of the year, pretty much salted away the game. Edmonton got one to bust up the shutout, but it was never really a game. For the first time in three tries, the Golden Knights defeated the Oilers. What did they do differently on McDavid this time around? It’s been a tough ask to beat the Golden Knights once for teams in the NHL, never mind twice. Edmonton is the only team in the NHL that’s picked up four points in two games against the Golden Knights. Beyond the obvious (the McDavid is good), what’s behind the Oilers successful strategy? Maroon had a productive Saturday night in Vegas. The eight-year veteran had the game’s opening goal, and assisted on Drake Caggiula’s game tying goal. Not only did Edmonton pick up a much needed two points, but they beat the Western Conference’s best team after beating the conference’s worst the night before. It gives the Oilers some positive momentum for as they begin their bye week. In the first game off the week-long bye, the Golden Knights understandably took a little while to get going. A scoreless 1st led to a high paced 2nd in which the Golden Knights scored twice. William Karlsson scores yet again, his 23rd, yet another one-timer from the slot. The Oilers tied it early in the 3rd. The game goes to OT where a three on one break leads to the game-winner for the Oilers. What is it about the Oilers, or is it nothing? When was the exact moment the Golden Knights went from an expansion team expected to finish in last place to a dominant force in the Western Conference with legitimate Stanley Cup aspirations? Coach says the night they got whipped 8-2 by the Edmonton Oilers. That game showed us a lot about our hockey team. I could be wrong but after that game, I think we won five in a row. The guys really showed a lot of character. Sometimes in a game like that you go the other way, but I think our guys rallied around each other and said ‘we’re better than that.’ That was a turning point in the season for me. He’s not wrong, they did win the next five games, and since that drubbing, the Golden Knights are 19-4-1, before it they were 10-6-1. Prior to that game they had allowed 3.18 goals per game, that number is 2.46 since. They averaged 29.47 shots, it’s 34.79 since. I could go on and on, but I think you get the point. Coach is right, that game turned the season around statistically, but it had a more profound impact on the mental aspect of the team. That was the first time all year they had really been blown off the ice. It happened on the road, to a desperate team captained by the best player in the world, with a fourth (and eventually fifth) string goalie in the Golden Knights net. It clearly was an aberration and there was no reason to view it any differently, but according to their coach, the Golden Knights did anyway. They came out and played a great game two nights later in Vancouver, then followed it up with four more wins against the Pacific Division, and haven’t stopped rolling yet. I could argue for the pair of games in Nashville and Dallas or the win over the Lightning here in Vegas. The win against Winnipeg after the rough homestand or the back-to-backs in southern California. There are a lot of options of when you could say the Golden Knights season turned, but it’s hard to argue with Turk on this one, so I won’t. Now let’s just hope the second meeting with the Oilers doesn’t turn it again. Bad 1st period. Bad 2nd period. 3rd period didn’t matter. The Golden Knights came out rather flat and couldn’t get going before they were in 3-0 hole. 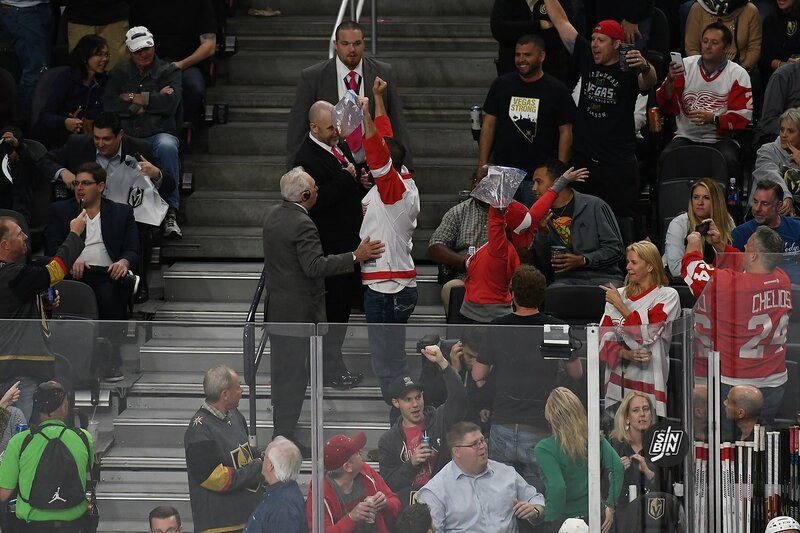 It got worse and worse as the game went on and it goes down as truly the first time the Golden Knights through up a stinker. It happens, on to Thursday. Upcoming stories from the Vegas Golden Knights vs. Edmonton Oilers at Rogers Place. First time in 17 games the Golden Knights have been waxed. They were in elite company before it happened. We’ll show you. Forget about it. On to Vancouver. I’m going to get crap for this but what the hell, go ahead and pile on. When Las Vegas enters the NHL next season maybe they won’t be chasing the Sharks, Kings, or Ducks in the Pacific division. Possibly the newly formed Knights could be looking up at the high-flying Edmonton Oilers. In six games played, the Oil has 10 points, the second most goals in the NHL, all with a solid +7 goal differential. Yeah, they’re pretty slick. Obviously, after six games I’m jumping the gun a bit. We have no idea if this team can sustain their early success and break the postseason drought. Edmonton fans haven’t seen a playoff game since the Game 7 Stanley Cup loss against Carolina. So you can only imagine their desire to get back. However, the 2016-17 Oilers are on pace to score over 100 more goals than they did last season. Edmonton hasn’t scored more than 250 goals since that 05-06 Western Conference Championship team. In fact, this year’s team is projected to score the same amount of goals as Edmonton’s last Stanley Cup winning team in 1989-90. Scary, right? The Oilers have been so irrelevant over the past 25 years it’s been sad, but the end is near. 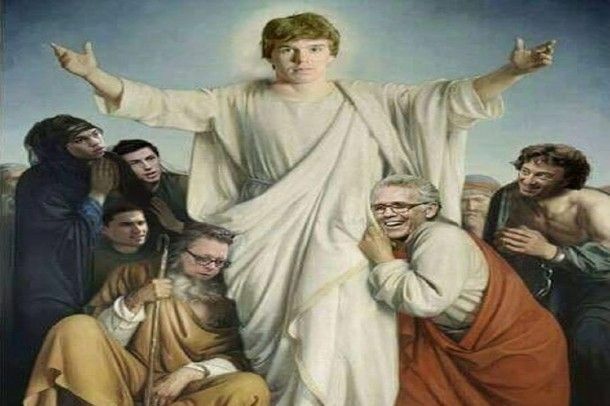 Leading the charge is obviously McJesus. Connor McDavid is lighting it up as we all expected. Edmonton’s Captain is on pace for over 120 points. Silly right? Granted, McDavid won’t play 82 games, will hit a drought, and has had a relatively weak schedule thus far. Either way, his video game like numbers at 1.5 points per game are getting everyone’s attention. Next on the list is right wing Jordan Eberle who’s averaging a point per game, and same for center Leon Draisaitl. Also, making a difference is bruiser free agent signing Milan Lucic with four points early on. Overall, every forward has a point, and only two defenseman remain pointless. Really good point distribution. Compare that to the woeful LA Kings, with 14 goals for and 18 goals against. If it wasn’t for Tanner Pearson‘s four goals, the Kings might not even have the measly two wins they do have. Is this article making any sense yet?